Spring is so filled with gravel rides and races, that it becomes increasingly hard to keep up for all of us! This is just a weekly check in to review some of recent news out there. It’s a collection of what we’ve found. If you have anything that you’d like to add, share, or want to see on the Riding Gravel Weekly Roundup, contact us. 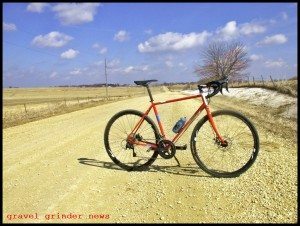 Gravelgrindernews.com is giving the Tamland some gravel time. Gravel Grinder News is giving the Raleigh Tamland 2 some time on the gravel roads. The first post with some information and highlights was just posted. Read more about it here. The Great Lakes Adventure Project compiled a good list of Midwest gravel rides. Trans Iowa V10 new updates have been posted. Guitar Ted had a great recent post titled “The Reason for What I Do.” He was pretty open and honest – a good read. Read more here. Silent Sports recently posted a full and informative article about gravel grinding. The author talks about the popular Heck of the North and gives links for a lot of other Midwest races. Read it here. MN Bike Trail Navigator gives an in-depth rundown of details for The Filthy 50. Black Mountain Cycles sending out some nice bikes recently. Check this post out. Gravelbike.com posted their first impressions of the Genuine Innovations Tubeless Ready Kit. Read it here. Bikerumor.com highlighted the Harvey Cycle Works bike from NAHBS. Prollyisnotprobably.com posted a full photo gallery of the NAHBS Show. Plenty of gravel rigs. Check it out here. 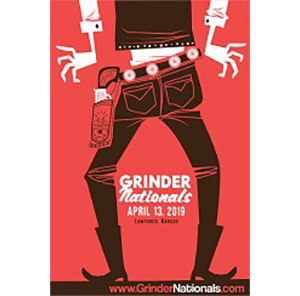 Guitar Ted’s usual “Friday News and Views” has some info about the Almanzo 100 Gravel Expo and the Tamland. Colorado’s AntiEpic 50 & 160 has changed the start/finish area to Pikes Peak Brewing. Watch the Barry-Roubaix results page. The race was today in Michigan. Almost 3,000 riders.